This is the last little project I’ve been working on. It’s a gift for a friend that happens to like DMX, the author of the quote in the picture. Of course, I never thought I would ever stitch a brass knuckle, but there it is. I added the roses just because. They make the whole design funnier (roses are pretty gangsta right?)!! The original roses were from a free pattern I found online that I modified to fit in. But, I cannot find the original anywhere!! I’ll add a picture of it once I find it. Now, the charts! I added the second one without symbols and more contrasted colours just so it’s easier to see. The colour chart is only attached to the first picture. Following yesterday’s post, here’s the chart for Hoagie. It’s been a while since I uploaded a new chart! I been wanting to share the pattern for Bernard for a while but I haven’t had much time… again. This character is from a game called Day of the Tentacle, by LucasArts. It’s the sequel of Maniac Mansion (game that I absolutely adore). I will upload a chart for Hoagie and Laverne in the next couple of days. By the way Day of the Tentacle is being remastered!!! It’s coming to PC, PS4… in 2016. I’m so happy! After playing the remastered version Grimm Fandango I’m just hoping this one turns out just as good. Big YAY for Tim Schafer! 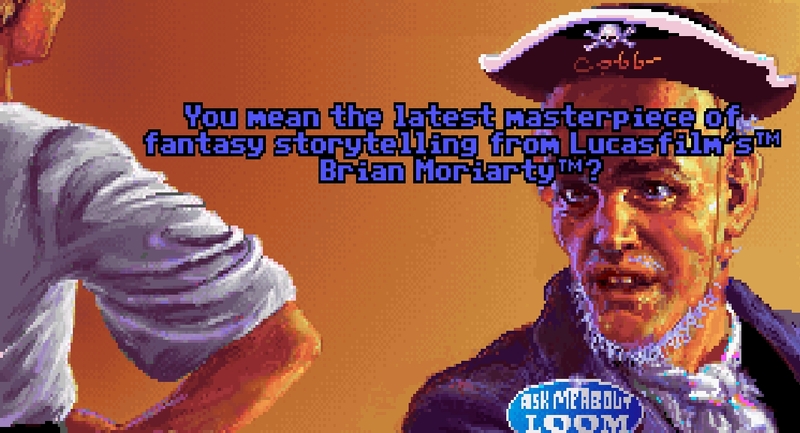 I would love to see more LucasArts games get the remaster treatment… Maybe LOOM and Zak McKracken. Or the two Indiana Jones! The chart is based on a picture (above) made by jhroberts on DeviantArt. Hello! Just like in I mentioned in the previous post, I’ve been quite busy lately and I have no time to do much crocheting or cross stitching. Not a good thing. I came across the chart on Pinterest but the website link on it doesn’t work any longer. Casamiainitalia.com is down until the end of January according to the message on the site. This is a picture of the finished item, from Pinterest also. It’s coming out way bigger than I expected (I feel like I should know enough about sizing by now…). The tree alone is around 5 1/2 inches long! I used 28 ct evenweave. 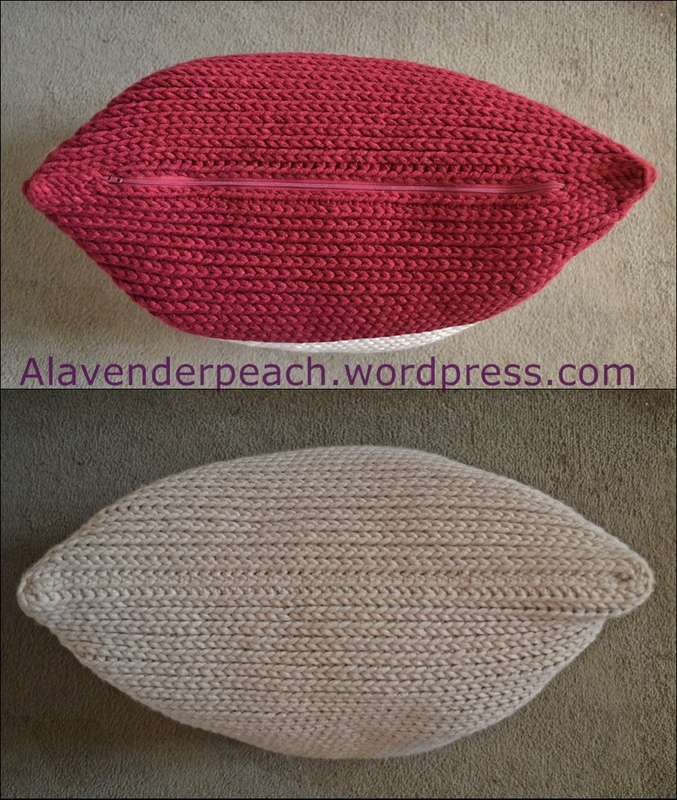 Since there is no colour chart available with the pattern, I’ll share the three colours I used as well: DMC 3348 as green, DMC 945 as “peach” colour (I don’t know if they are flowers or fruits so I made them as peaches) and DMC 817 for the red details. I still have a little bit to go but hopefully, it will turn out nice one finished! 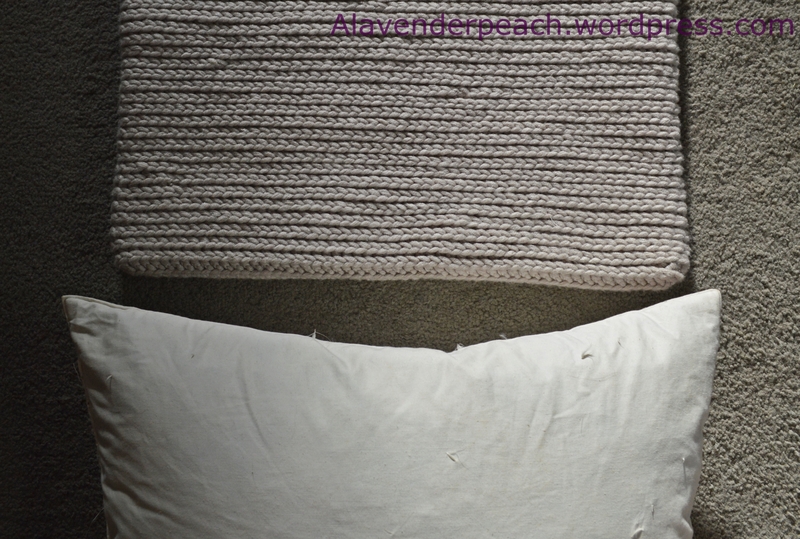 Knit-like Crochet pillow case free pattern. Colour blocking! Hello! 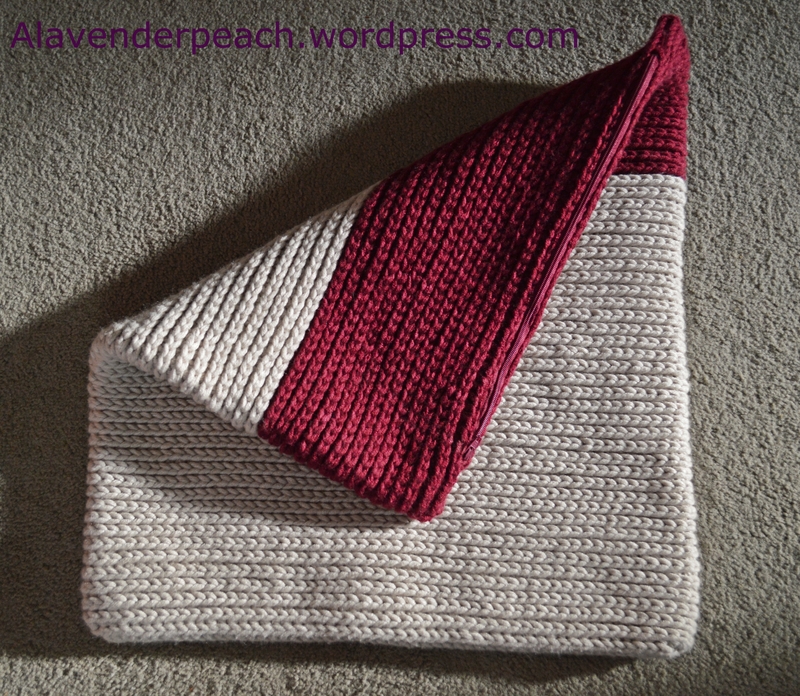 I’m quite happy to be writing this entry because that means my pillow case is done! I just finished sewing the zipper and it’s good to go. Now, I did write the pattern for the begging part but I didn’t write the exact number of stitches I needed… Silly me. But it doesn’t really matter as it is better to measure the begging rows with whatever pillow size you have. This pattern is very similar to the Pouch pattern I wrote a couple months ago, so if you’ve made one already, you’re good to go. The stitch used here is a HDC worked in the loop behind it. There’s a really nice tutorial here. MY “ROWS” ONLY COUNT HALVES. NOT THE ENTIRE “CIRCLE”. JUST LIKE IF YOU WERE WORKING FLAT AND TURNING. Row 1: 1 SC in second chain from hook in back loop only. SC to the end, turn. (At this point you could be doing HDC already, but I liked the look of two rows of SC better.). Row 2: 2 SC in what is now the back of the chain. SC to the end and add 1 more SC to the last stitch. Row 3: Keep working in the circle but this time start with the first row of HDC. Row 4: Keep working in the circle do not join. It’s all one circle! Row 5: When you get to the first HDC of the previous row instead of working under the regular V stitch, start working the HDC on the third loop created behind it. It will be on the inside part. (check out the tutorial above if you’re not sure of what loop it is). Row 6 to end: Keep working the HDC 3rd loop around until you reach the size you want. Finishing: I had to make a bit of an invention and close the sides a little bit because my zipper was too small. 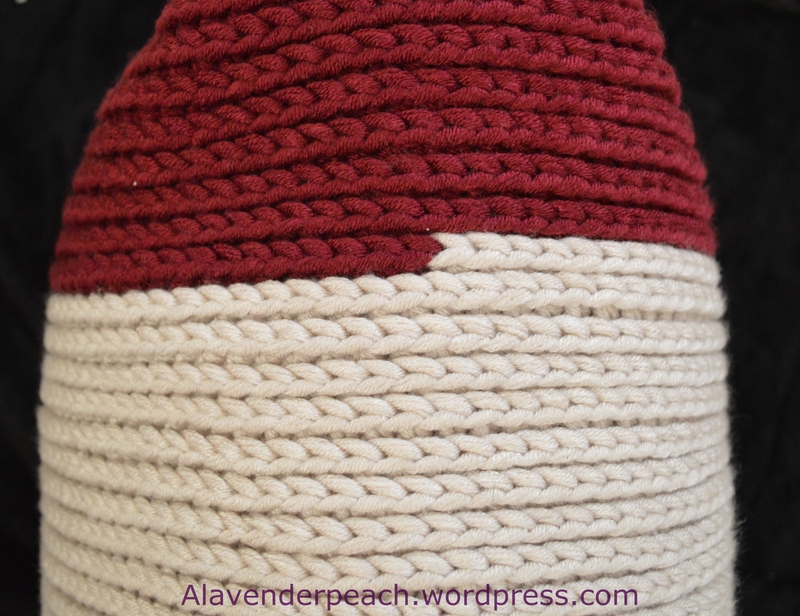 The only size they had in the colour that exactly matched the yarn was only 35cm long, so I had to SL ST the corners. 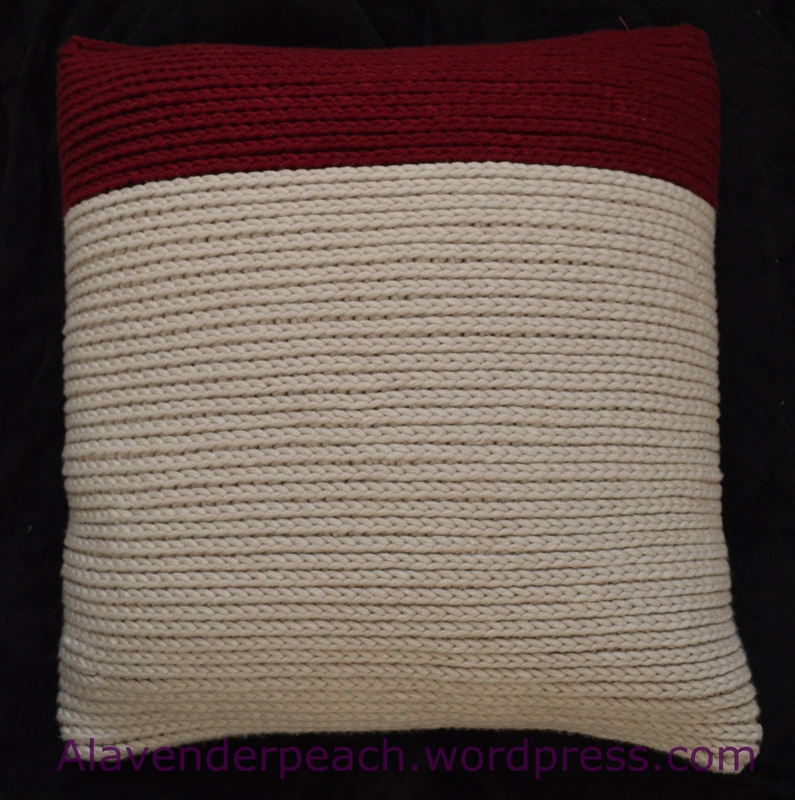 When I reached the right size for my pillow I started to SL ST at the corner working the 3rd loop of the HDC and the 3rd loop of the HDC in front (for about 6 stitches). Then, I continued to SC in the 3rd loop of the HDC until I I had 6 stitches left and SL ST just like the other corner. Finish off. Tuck in all the tails and sew in the zipper. It can be finished off with buttons a flap or anything you want too, but, as I was going for the “minimal” look I didn’t add any details. Just a zipper that blended in. NOTE: Keep measuring the pillow as you go!! Make sure everything fits!! I tried to get the best light for the pictures, I hope you guys can use them as reference. Instead of a pillow, you can just use stuffing, make the case any size you want and SL ST the top closed. There are so many options!! Look from the top with the zipper in. Bottom of the pillow with starting SC chain. Colour change on the side. 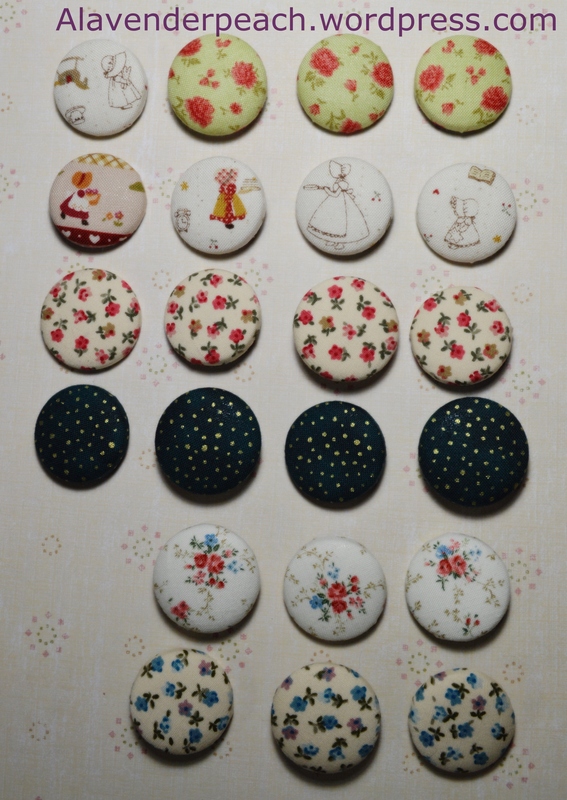 DIY Fabric covered (magnet) buttons. Super easy! I feel like it has been forever since I last updated this, but I haven’t had much time to be crafty… Work and holidays sure keep you busy! Anyway I just wanted to post a very simple DIY. For the longest time I’ve been feeling pretty bad about the looks of my fridge. You know, all the pizza add magnets, a magnetic 2014 calendar from my dentist, some cable company magnets as well… you get the idea. I hated it but they were quite useful so I didn’t bother taking them of because I had no “pretties” a.k.a decent looking magnets to put on. So, a couple days ago I got rid of the “uglies” and made some fabric covered ones!! They are incredibly easy to make and don’t take too long. All you need is a kit ($3’99 at Walmart or the second one I purchased here) and some fabrics (little prints work better). The kit includes the blue bottle cap like thingy which is the tool that you need to make the buttons. Mine is a size 45 (1 1/8 inch or 22mm). The “pattern” that you see on the picture is a little cardboard cutout from the back of the kit. The diameter of the circumference that you need to cut of fabric for this size is 2.1 inches or 53mm. And they’re good to go! They can be used as needle minders as well, it would only take one extra magnet attached to the back of the fabric to keep the needles in place. PS: The only thing I would like to add is, if you’re making buttons to wear, you’re better off with buttons with metal backings (like the Walmart ones) the ones I bought on Ebay are plastic and they don’t snap on as hard. They’re good for magnets though. 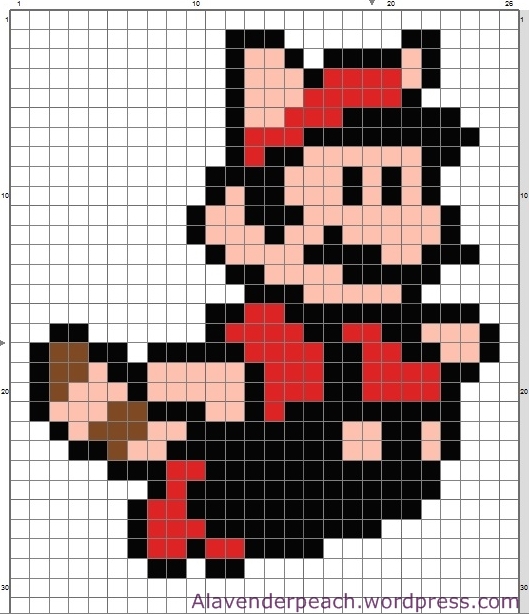 Free Super Mario (Tanooki tail) Cross Stitch Pattern / Chart. I love Mario in his little costumes. In this pattern he only has the Tanooki (Raccoon) tail and ears. I believe the original full raccoon suit comes from Super Mario Bros. 3. It has always been one of my favourites next to the frog Mario. I haven’t made a colour chart for this pattern but it’s really simple, DMC 310 for the black, any bright red, any light peachy colour and a little bit of brown. It only takes 4 colours! Have you guys ever played Loom? I only payed it a couple times back in the day and never finished it because I thought it was boring… But I picked it up again a couple years ago and finished the whole thing without any walkthroughs. I was quite happy about it. The game happens to be more interesting than what I remembered and also, much less spookier. 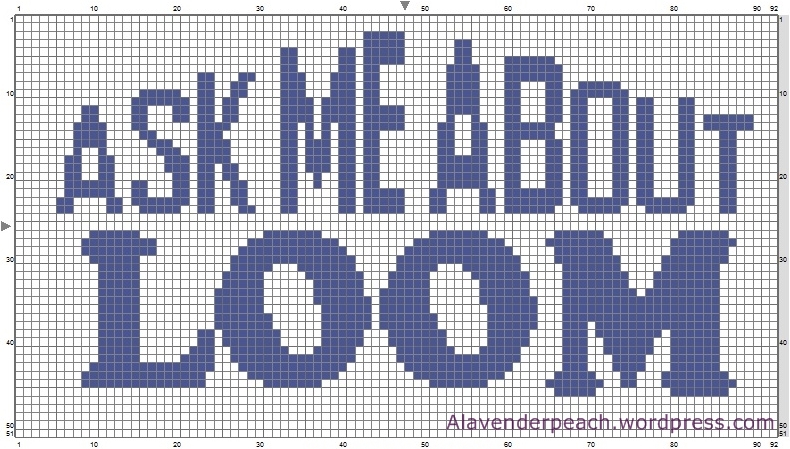 Anyone that has ever played Monkey Island probably remembers a creepy little pirate from the Scumm Bar that had a badge with “Ask me about LOOM” on it. At the time I had no idea what LOOM was, I just thought it was some kind of joke and not a real game. Anyways, I always wanted a poster with “Ask me about…” on it. This kind of stuff can be tricky to find, so why not make it? The in game badge has white letters on a blue background, but it was harder to see on the chart so I just inverted the colours. This one would look good stitched on blue linen. I’ll see if I can find the right shade and I’ll get to it. This is Cobb, just in case you were curious. 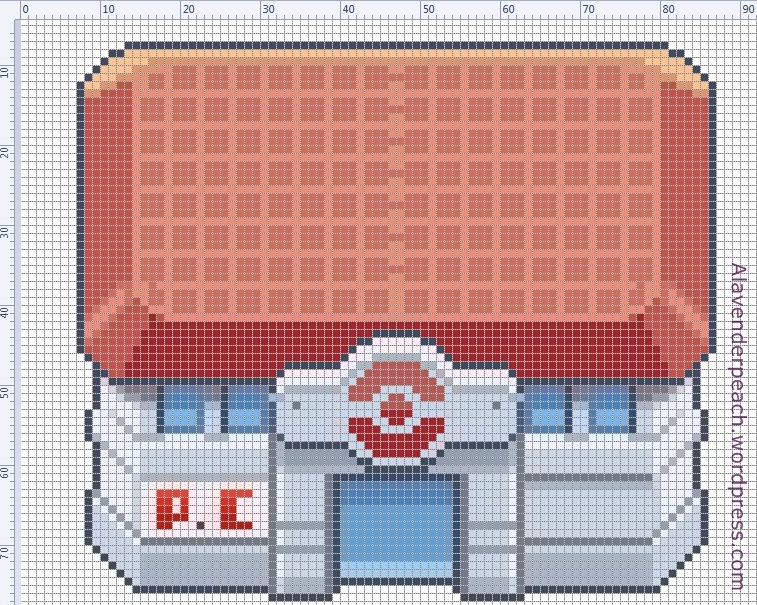 Free Pokemon Center Cross Stitch Pattern / Chart. I haven’t done a colour chart for this one because I don’t have the most accurate threads at home and I have no time to go to the store this week. But if anyone is planning on stitching it, I recommend bringing the picture to the store to compare colours. It’s mostly shares of red, blue and grey. Really simple. I hope you guys like it and If you have any suggestions on what do you want to see next, just leave a comment here or on my Instagram! 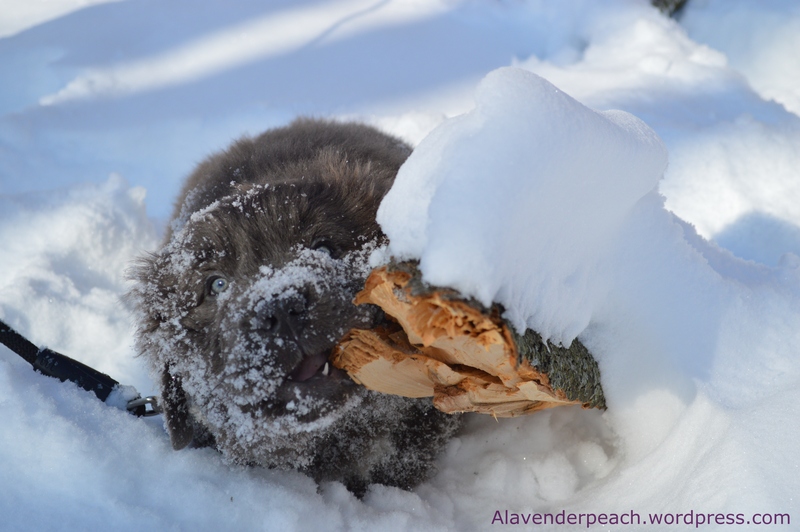 I have tons of pictures of Björn and I decided to make a little throwback. 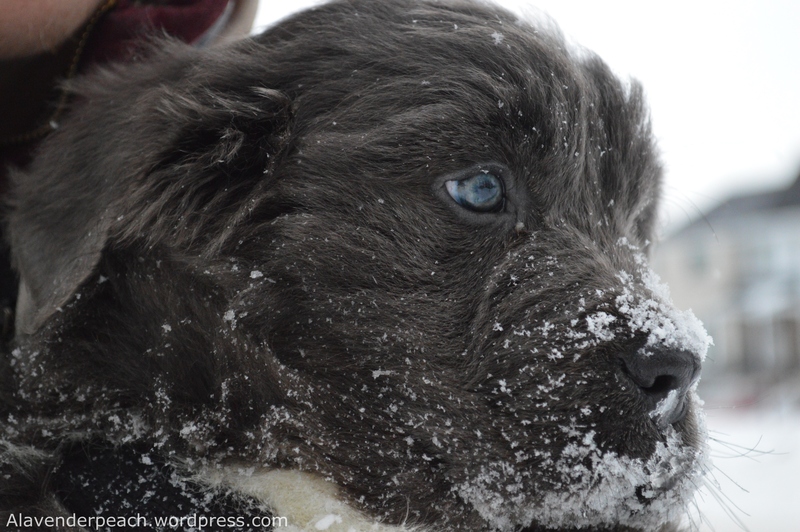 These pictures are from his first winter. 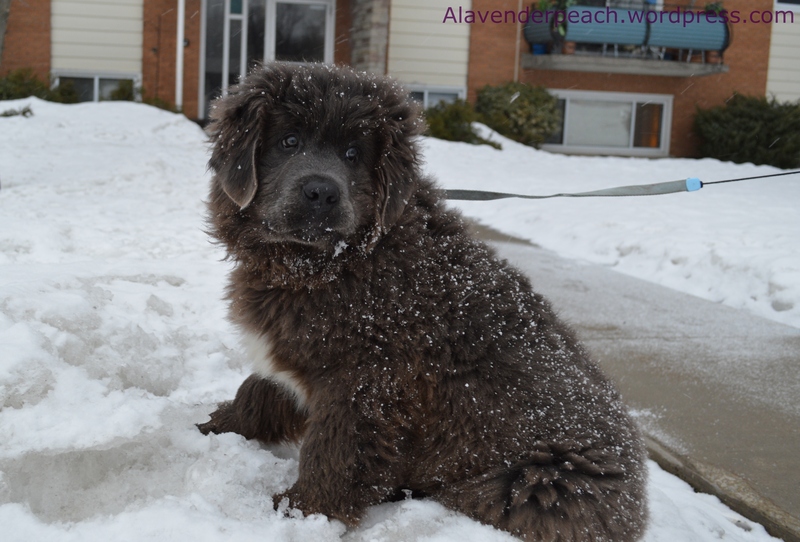 He was born November 28th 2013 and came home in February 2014, so he still had lots of snow to play with!! 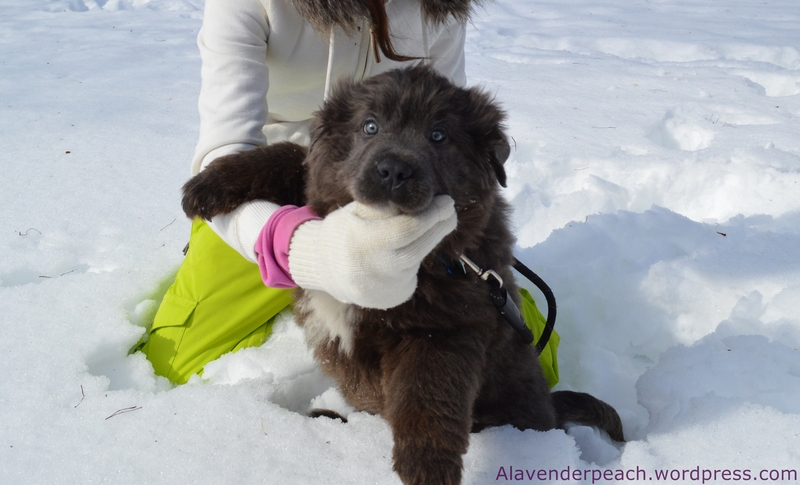 I’ll be adding more pictures of my woolly doggie soon! He used to sit down during his walk every chance he had. 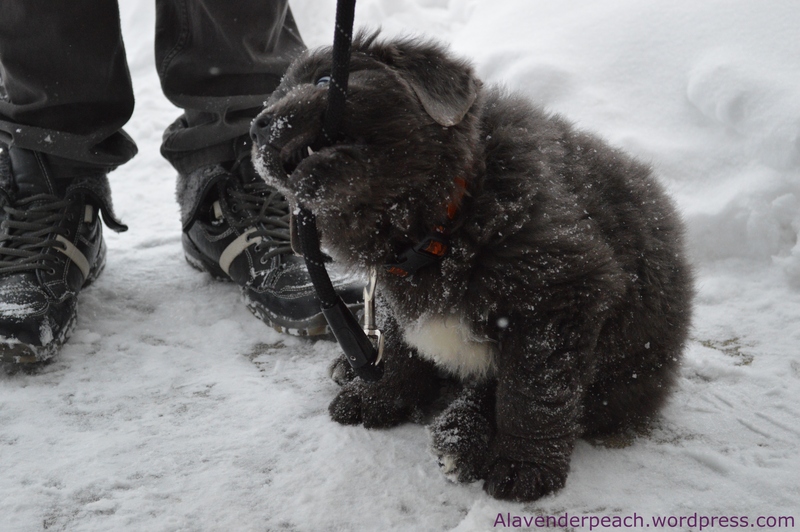 Eating snow is more important than walking, right?